I was quite impressed with all the gear these guys had. One of them explained how the sun emits different rays, and the telescopes they had with them can view either the hydrogen of the sun (so you get to see the solar flares really well) or the special White Light telescope. White light filters, also called Solar Safety Filters, admit the entire spectrum of solar light but reduce it to only .001 percent of it’s intensity to prevent eye injury. These filters are used to safely view solar phenomena such as sunspots, total eclipses and planetary transits. 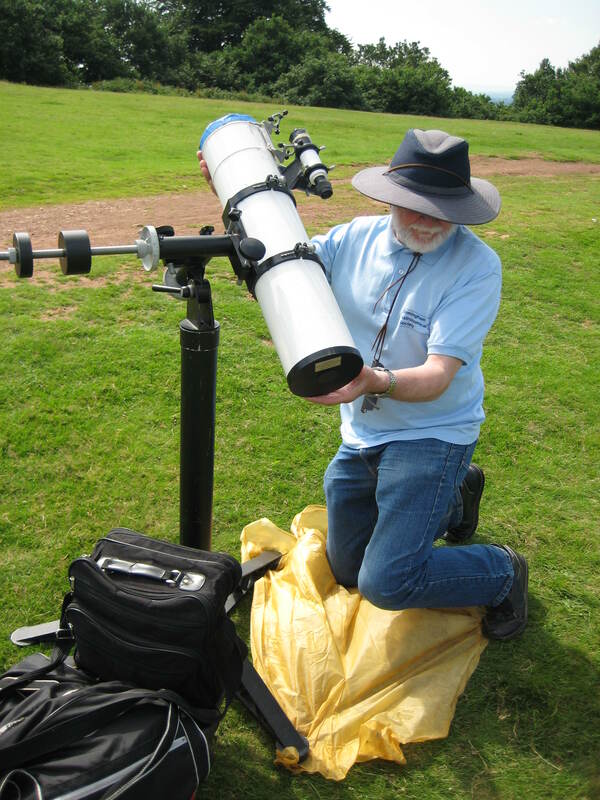 Both refractor and reflector telescopes can be converted to white light instruments simply by retrofitting with the appropriate filter which is what the guys at the society did. The most common white light filter is made of layers of Mylar film. 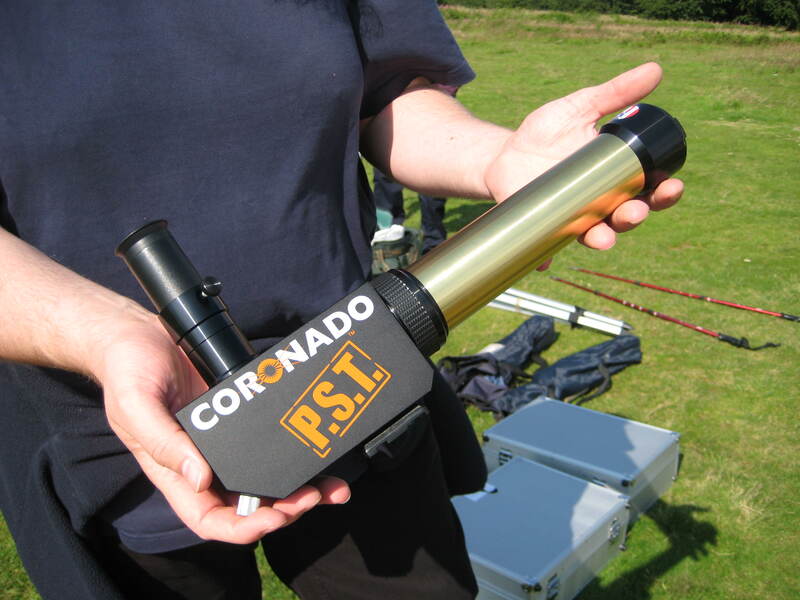 The snazzy hydrogen telescope, modelled quite nicely by one of the guys. 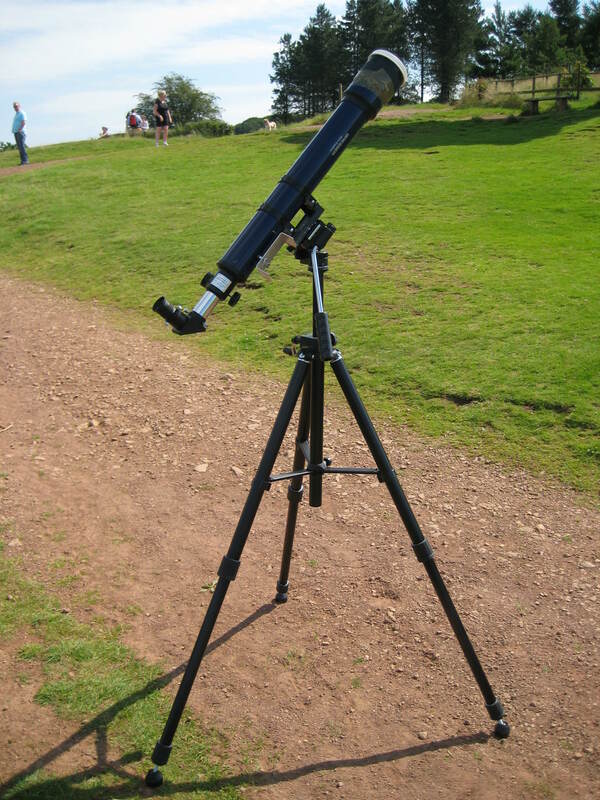 One of the telescopes all set up. The White Light filter telescope. 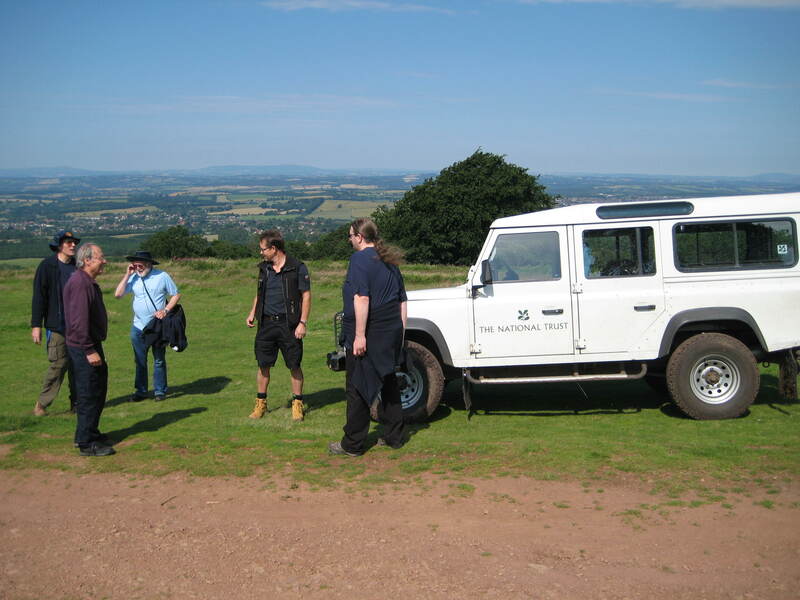 Overall, it was a fantastic event and very popular. 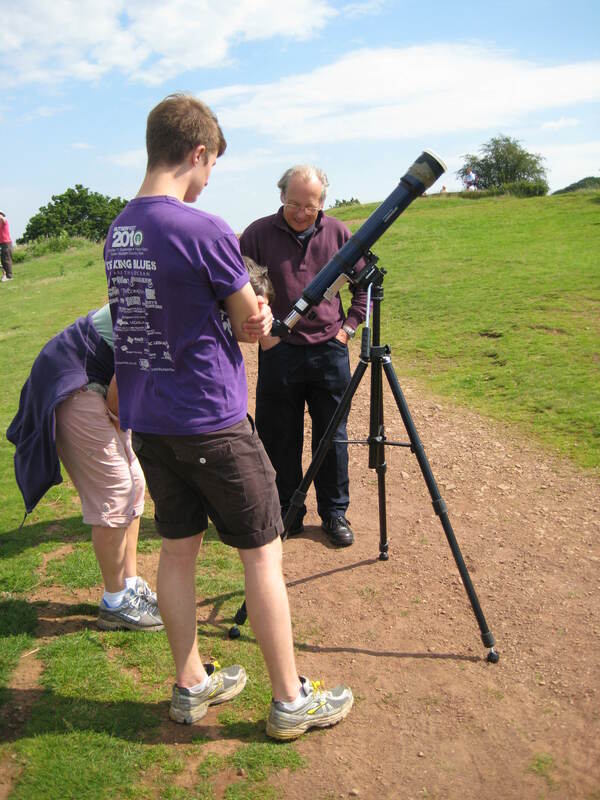 Lots of people came to see what we were doing and wanted to have a look through the telescopes. I’m so glad the weather turned out so nice too- I even sneaked in a cheeky bacon sandwich. The guys were really fun to talk to and I hope I get to do an event with them again sometime.